Basil clears the mind of worries, helps you focus and concentrate, and uplifts the mood of people who suffer from depression, insomnia, and stress. 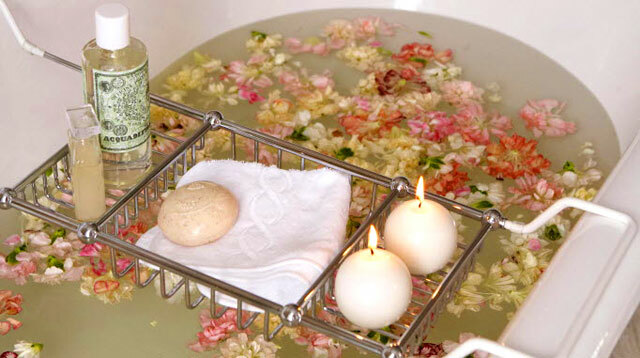 Mix four tablespoons of dried basil with lemon essential oils to create a calming smell in the bathroom. Get the complete step-by-step guide here. Chamomile relaxes and relieves anxiety, tension, and insomnia. Mix chamomile with baking soda to give your room a refreshing smell. Eucalyptus is a great essential oil that clears the head and calms emotions. Craft your deodorizing spray by mixing distilled water, baking soda, and eucalyptus oil. Create your own potpourri by mixing dried flowers and plants and scented oil then placing them in sachets. If you want to use them as centerpieces, it is always best to arrange them in layers. For more natural scents you can use for your bathroom, check out RealLiving.com.ph!